I cringe at opening my electricity bill during the summer in Texas. On 100-degree days, my air conditioner fights to keep the inside cool, but it’s a losing battle. I rent an old house with lots of cracks and crevices, which makes cold winters difficult as well. The old windows are layered shut with paint and cannot be opened. Actions such as setting my thermostat and adding curtains slightly improve the performance of my ancient windows, but ultimately I need some new ones. According to energyguide.com, the average home can attribute about 25% of the energy required for heating and up to 40% of the energy required for cooling to windows. A lot of factors go into energy efficiency in your home, such as size, orientation to the sun, and what you set your thermostat to on a daily basis. But choosing a good window to combat the Texas heat is important, so I’m gathering ammo for the day I become a homeowner. We want windows that reflect the sun’s heat and keep it out of our house. The windows should have a high-energy efficiency rating. But we also care about the components that make up those windows. Where do the materials come from? I toured the impeccably clean plant, stopping at stations to hear a lesson on window building. I was most intrigued by the waste collection process. Windows are cut using precise machinery looked over by one of the 340 manufacturing process staff. Precision machinery minimizes the amount of waste created. Unused end pieces are put back into the manufacturing process if they are long enough and if not, are broken down and rebuilt into more fibrex. Their moves for the environment are not only to utilize less resources but it’s a business decision. 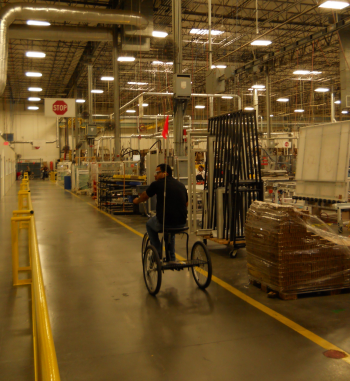 An employee at Andersen Windows in Garland, Texas uses a trike to get around their plant. 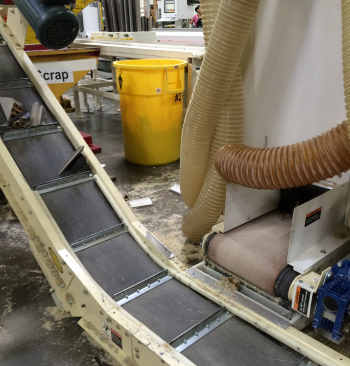 Small non-usable pieces of fibrex window frames travel on a conveyer belt destined to head back into breakdown and production of new fibrex material. Aaron Strickland, Value Stream Manager at the Anderson Window plant, led me through the qualities of the fibrex material: better alternative to vinyl, 700x more heat resistant than aluminum (but aluminum is the worst), twice as strong as vinyl and built for the Texas weather. But how do you know what you should use in your house, office or business space? When the summer heat is at its peak, it’s a great time to investigate your windows. If the cool fall air causes you to lose momentum in window shopping, remember that they will be just as handy when the winter arrives. 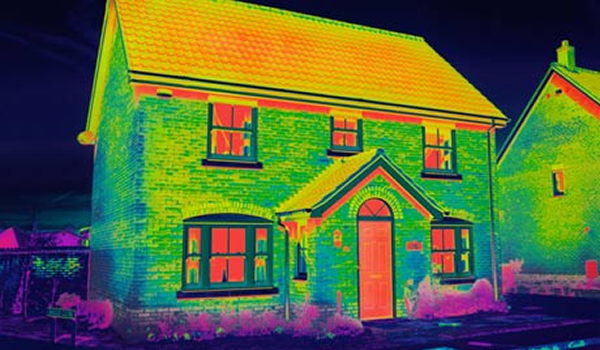 Increasing energy efficiency saves money in the long run. As for me, I’ll be looking into some thicker curtains and waiting for the day when I can install some energy-efficient windows in my own home. This entry was posted in Conservation and tagged energy efficiency, green living. Bookmark the permalink.